It takes a full-time Home Inspector hundreds and hundreds of inspections to develop the eyes, ears and nose for hunting down problems. Part-time inspectors simply do not have the proper time in the field to develop that radar. Be sure to ask how many inspections he/she performs annually and for how many years. A quality Home Inspector does at least 200 to 300 inspections annually. Blind inspectors conduct 50 to 100 inspections annually. Conducting 200 to 300 inspections each year requires extensive referrals by prior clients, lenders, real estate agents and others-so there is a much greater chance the inspector is not blind. Atlantic Building Inspections conducts 800 to 1,000 inspections annually and has been for over EIGHT years. Atlantic Building Inspection’s Inspectors all perform over 350 inspections annually. The company that offers the cheapest price is generally showing you a couple of things; 1) they are new or part-time and 2) they really do not know their costs (they will not be in business very long). If you want a thorough Home Inspection of, what most likely will be, the largest purchase of your life, you will want an experienced Home Inspection Company on your side. Hiring a Home Inspection Company that has been performing home inspections for years and understands that they are working for you and no one else is critical. Making sure that you, the buyer, understands the condition of your new property is our first priority. Home inspectors that charge less, know less, do less and therefore inspect less. They typically do not carry the technology and tools that are necessary to complete a thorough inspection. Additionally, they usually do not carry the proper industry related insurances. Atlantic Building Inspections inputs all findings into a hand-held computer at the very moment they are observing the condition. This eliminates errors and omissions. We always provide an on-site review of our findings with you and make sure that you understand all aspects of the property. The final report, which includes photos and cost summaries, is emailed to you as a PDF file within 24 hours (usually less) of the inspection. A contractor and a Professional Home Inspector are very different. Home Inspectors are responsible for evaluating all the systems and components of the home—not just one aspect such as the foundation or framing. To be able to provide a competent evaluation of all these systems and components takes formal education and training. Atlantic Building Inspection’s inspectors have attended one of the two top home inspection schools in the country, completing more than 120 hours of course work and classroom training. In addition, each inspector spends a minimum of 70 inspections training under the owner of the company, insuring consistency and completeness of the inspection process and reporting. Our quality control process is stringent as the Owner of the company reviews every inspection report and EVERY photo. Our inspectors are all members of interNACHI and complete over 20 hours of continuing education annually. While certifications are certainly important, it’s the combination of experience, education and training that makes the difference in the competency of your next home inspector. Certification lets the world know that the inspector has sufficient knowledge to pass the testing requirements, but does not confirm his ability to perform a competent inspection in the field. We all know people that are certified for one thing or another that we would not hire under any circumstances. There is simply no substitute for experience coupled with proper training. All Inspectors with Atlantic Building Inspections are State Licensed and Certified. Owner and Founder, Carlos M. Gonzalez, does not allow the inspector to perform inspections, on their own, until he is beyond satisfied with the inspector’s level of training, knowledge and experience. The top home inspectors, in today’s business, do not produce hand-written reports. A professional inspector will provide a comprehensive report using software written specifically for home inspections. 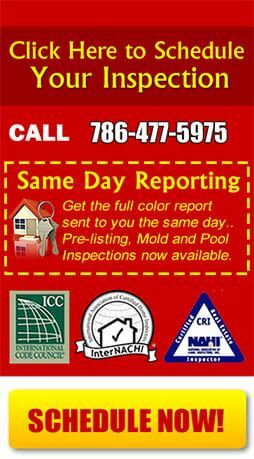 These reports usually contain information that does not pertain directly to the property inspected. You want your report to be in plain English, not “Techno-Jargon” that only home inspectors can understand. Carlos M. Gonzalez has spent the last seven years perfecting the software utilized by Atlantic Building Inspections. Click back into our web-site (www.atlanticbuildinginspections.com) and take a few moments to review our sample reports (scroll to the bottom of the home page). Our reports are detailed and yet easy to navigate. All of our reports include photos and cost summaries. Is the Home Inspection Company locally owned or a faceless corporation where no one is monitoring the quality of their work? How long has the company been in business? Does the Home Inspection Company have dedicated employees performing Home Inspections? Does the Company have a Customer Service Department? Will you be able to call your inspector for follow-up questions and assistance after your Home Inspection? Atlantic Building Inspections is locally owned and operated. Carlos M. Gonzalez founded the company in 2005 and has brought on staff, over the years, to meet the demands of the growing company. Our staff is dedicated, friendly and responsive. We understand the demands of “The Real Estate Contract” and the time sensitivity involved. Our inspectors return every call the SAME DAY! Even if it is in the evening. 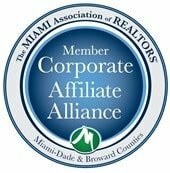 We are always available to answer any questions call us now at 305-851-2909 and see for yourself. Quality Professional Home Inspectors request feedback from their clients. Because you cannot improve what you do not measure, professional home inspectors want to know what they are doing right, as well as what may need some improvement. If the inspector cannot or will not provide client referrals, he/she may be blind in more ways than one!